The fastest two minutes in sports takes place on NBC this Saturday and there are two participants with weather connections in their names. 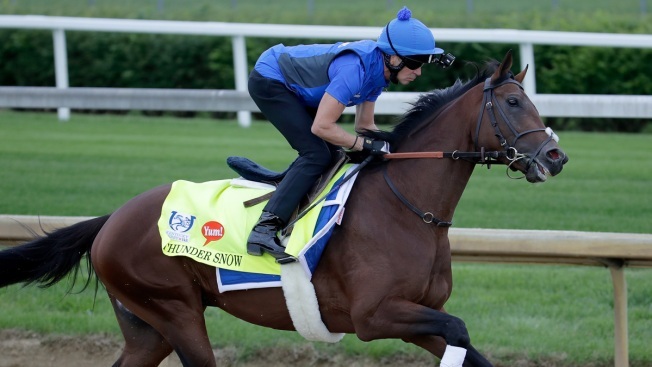 One of the horses in this year's Kentucky Derby is "Thunder Snow." As a meteorologist, that is one of my favorite weather phenomenons, so how could I not root for him? Thunder snow is a thunder storm in the winter, but with heavy snow falling instead of heavy rain. It happens when the cold sector in a winter storm becomes unstable and air rises. The air close to the ground has to be warmer than the air above, but still cold enough for snow. We have seen thunder snow — and even thunder sleet — in North Texas, but it is rare. This phenomenon usually occurs near the Great Lakes or Midwest. There is also a horse named "Fast and Accurate," which is what our S Band Radar is! We get the fastest updates and most detailed radar images than any other television radar in the state of Texas.